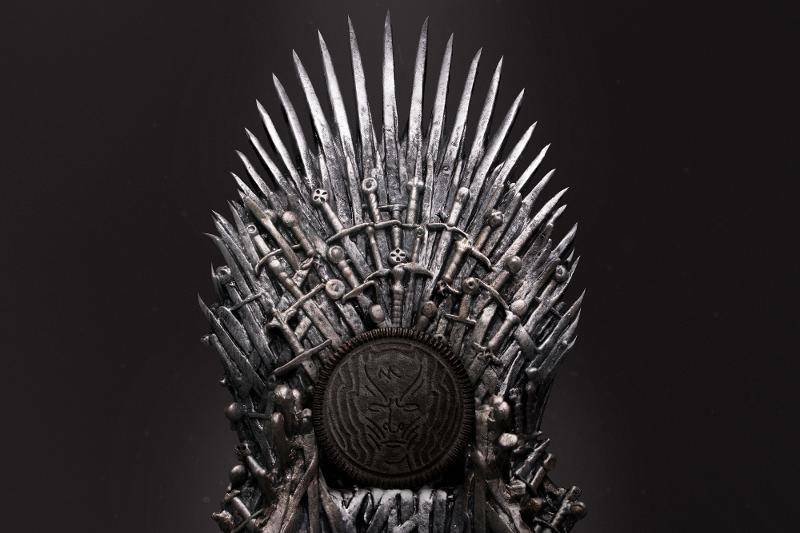 Anxiously awaiting the arrival of the final season of Game of Thrones? Why not pass the time by munching on Oreo’s aptly re-imagined biscuits. The snack brand revealed a collaboration with Game of Thrones this week, offering dark packaging and four designs inspired by series favourites; a dragon for Targaryens, wolf for the Starks, lion for the Lannisters, and a White Walker. 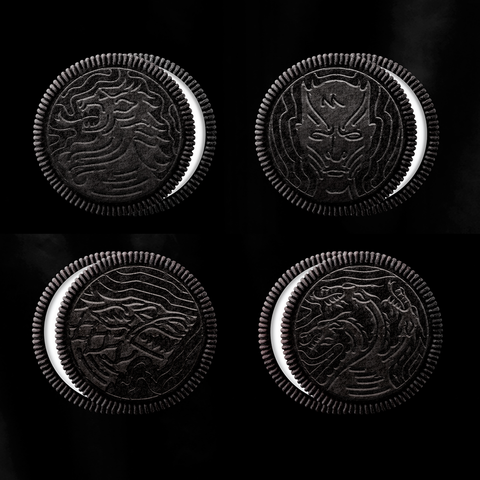 The limited edition biscuits hit shelves in the US this week and Oreo celebrated the collaboration by recreating the show’s famous title sequence. The re-imagined opening of the show saw an animated landscape built entirely out of 2,750 Oreo cookies. 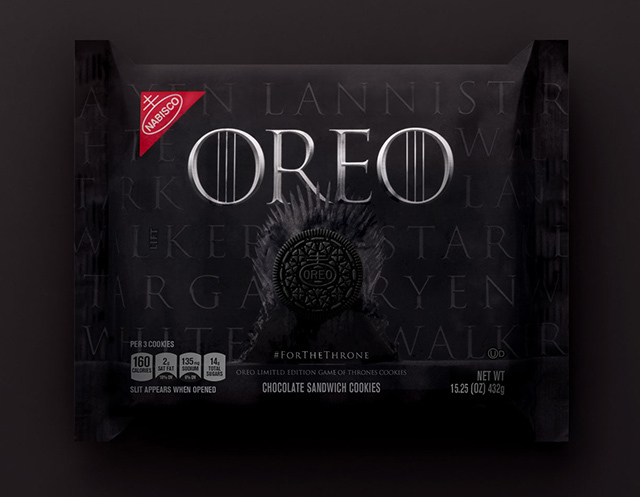 Fans of the show can visit Oreo’s website or post on Facebook and Twitter using hashtags #GameofCookies or #FortheThrone to pledge their loyalty to any of the houses or strategically to the White Walker opposition.